Please join us Thursday, May 2 for the spring Comparative Literature Colloquium, featuring speaker Philip Lorenz. His talk is titled: Baroque Files: Early Modern Literature and the Crisis of Sovereignty. A new episode of the “What Makes Us Human” podcast series featuring English professor William Kennedy explains the influence of water on European Renaissance culture. 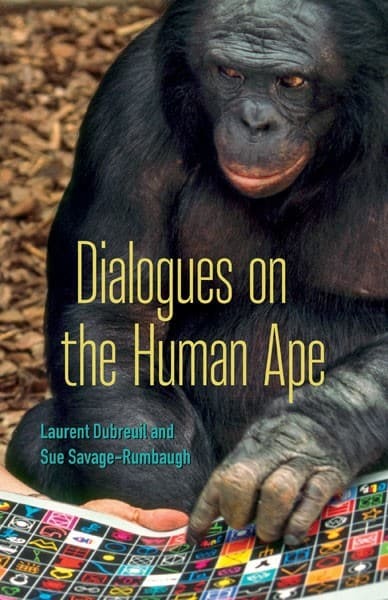 Newly Released book: Dialogues on the Human Ape. Congratulations to Irving Goh, a graduate of the Comparative Literature program, on his work L'existence prépositionnelle, published by Galilée under its "La philosophe en effet" series which is now available.